2016 has started with a BANG! Welcome to all the new Year 7s who have come to join us in Team 5. Room 4 is already settling in well, especially Miss Berry who is new to this space as well. The Year 8s have been amazing at helping all their Year 7 brothers and sisters with the rules and expectations that come with being in the senior school. We can't wait to show you what we get up to this year. 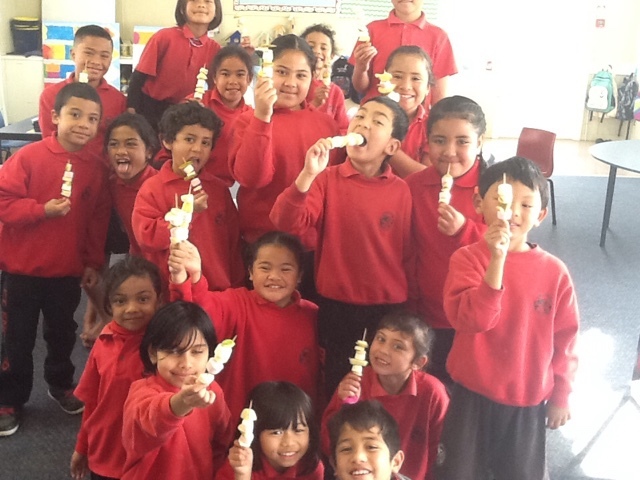 Room 26 were lucky enough to make ice cream on Monday as part of our Trade and Enterprise Inquiry this term. We were each put into groups and had to decide on a flavour of ice cream to make from scratch. Here is a video we made showing you how we made it. Enjoy! 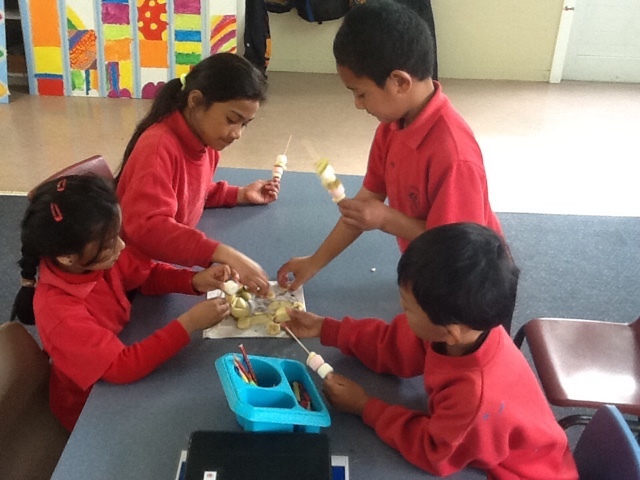 Today we chopped up our own fruit and made fruit kebabs with marshmallows. 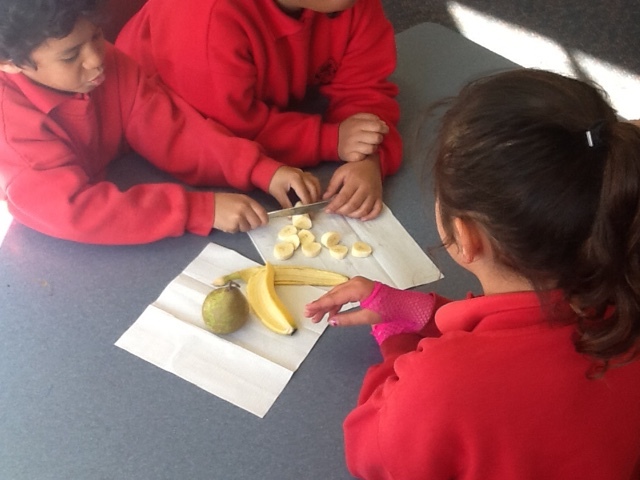 It was tricky cutting up the fruit but we enjoyed eating them! Take a look at our blogs for our recounts we wrote about the experience. How exciting! Hector enjoys blogging so much that he has starting publishing his stories that he is writing at home. Very clever! Check out his blog here.